At Wild Mountain, about a half-hour from Afton, VP Amy Frischmon recalled she had heard rumors Vail might be visiting a ski area in the Minneapolis area this past summer, but nothing concrete had come of it and she had put it out of mind until yesterday. “I was surprised, but recalled that they were supposed to have visited Afton, but with getting our season going and the area fully open, I had put it out of my mind,” she told SnoCountry.com. “It will be interesting to see what they do with the area and what changes may be made. “I’m not concerned about the competition. Our ski areas have always been competitive, and each has a loyal customer base. I think it will bring more focus on our ski and snowboard market, and especially this corner of the state. We have Vail coming into the market, and Wild was the first ski area in the nation to open in October and the first to be fully open. It’s drawn national attention to the Midwest,” she added. 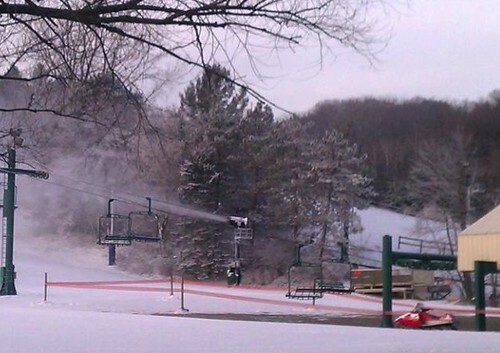 Leigh Nelson, owner of nearby Welch Village Ski Area, felt much the same way. Nobody could be reached for comment at Mt. Brighton. However, Amy Reents, an owner of Afton Alps and manager of resort marketing and community relations told us she has mixed emotions about the sale, but thinks in the long run it will be good for Afton Alps and its customers. She said she plans to stay on and be involved with management. Vail Resorts said in a press release they plan to enhance both the on-mountain and base area experience at each ski area. The enhancements will include redesigned and updated terrain parks, best-in-class coaching and instruction for all level skiers and riders, dedicated racing programs, expanded dining and entertainment options at the base areas, and integrated technology and social media programs. They also plan to invest in each ski area’s infrastructure improving snowmaking capabilities, parking and access, and adding new summer activities. Both Midwest ski areas are well established family-owned businesses and well run. Afton Alps is nearing its 50th anniversary and Mt. Brighton opened in 1960. Both are located near huge ski and snowboard markets. Another similarity is that both have a golf course and an established summer business. More than 2 million people and over 161,000 skiers and snowboarders live in the Minneapolis-St. Paul area, and Mt. Brighton is within reach of more than 4 million people and over 307,000 skiers and snowboarders in the Detroit, Lansing and Ann Arbor metro areas. Season pass holders at the Midwest areas will receive a 25-percent discount off the window rate this season at other Vail Resorts in Vail, Beaver Creek, Breckenridge, Keystone, Heavenly, Northstar and Kirkwood. No doubt, there will continue to be marketing synergies.